A high-performing West Austin school district says it was told the state’s new testing vendor misplaced some or all of the STAAR exams its 3rd through 8th graders took this spring. But New Jersey-based Educational Testing Service says that’s not true. 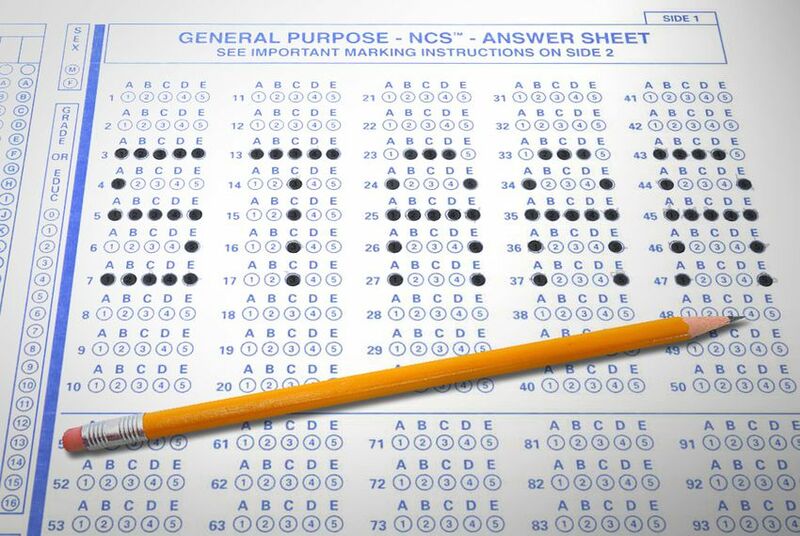 "Numerous Texas school districts have had issues with STAAR testing and ETS, the new test provider, this year," Bill Bechtol, deputy superintendent for curriculum, instruction and assessment at Eanes ISD, wrote in an email to principals last week. "We have avoided issues. Until now." A district staffer "has been informed that ETS has lost all of our boxes of scoreable results for (grades) 3-8!" he wrote. "We did everything right on our end. ETS agrees that they received the boxes. They just don't know what they have done with them." District spokeswoman Claudia McWhorter said Thursday the exact number of tests ETS lost is actually unknown, but that it is at least some of them. Nearly 4,000 students were enrolled in 3rd through 8th grade in the district during the 2015-16 school year, according to state enrollment data. Not all those students necessarily took STAAR exams, McWhorter said. But ETS disputed the district’s account in a statement sent later Thursday, explaining that it had contacted the district because it had not yet received the exams in the mail — not because it had lost them. "While we have not received a message from ETS that they have our tests, we are certainly happy to hear that they do," McWhorter said in a statement late Thursday. Bechtol sent another email to district employees early Thursday afternoon reiterating that the district has "been notified by ETS that our tests have been misplaced." "ETS has indicated that they are confident they will find the tests and send us results before the June 15 deadline imposed by TEA," he wrote. This is the first year the company has administered the exams after the state scrapped its longtime contract with London-based Pearson. School districts have reported dozens of logistical and technical issues during the various spring administrations of the state-required exams known as the State of Texas Assessment of Academic Readiness, which 5th and 8th graders and high schoolers are supposed to pass before they can move on to the next grade or graduate. Problems first surfaced in March, when school districts reported problems with online tests that caused students to lose answers. The computer glitch impacted more than 14,000 exams. The Texas Association of School Administrators has urged Education Commissioner Mike Morath to discount all of this year's exam results in rating schools and students under the state’s accountability system, saying the problems districts have reported are widespread enough to call into question the integrity of the results. Parents have also sued the state in an attempt to block it from using exam scores in rating younger students. Morath has called the problems “simply unacceptable” and has said the state will fine ETS and reconsider its contract if the issues are not resolved. But he has said the state hasn’t found enough evidence to warrant scrapping all scores, aside from those associated with the 14,220 exams affected by the computer glitch. “ETS has indicated that they are confident they will find the tests and send us results” by next week, Bechtol said in a statement to The Texas Tribune. In the email to principals last week, Bechtol said the district was expecting to get exam results this week. Disclosure: Educational Testing Service, Pearson and the Texas Association of School Administrators have been financial supporters of The Texas Tribune. A complete list of Tribune donors and sponsors can be viewed here.